Our work with the NVIDIA hardware for this release has provided insight into some areas that programmers need to pay attention to with respect to different vendor’s cards. The biggest difference I noticed was that number of MSAA quality levels exposed by AMD vs. NVIDIA. This information is obtained via the CheckMultisampleQualityLevels method in Direct3D 10.x and 11. The ATI Radeon HD 5000 Series only provides one quality level per sample count, while the NVIDIA GeForce GTX 470/480 exposes a number of fine-grain quality levels per sample count. The quality level is the number of sample layouts and/or resolve algorithms for a specific sample count (a sample count = 2X, 4X or 8X). And from Direct3D doc, the higher the quality, the lower the performance. What is the number of quality levels per sample count for NVIDIA ? Since Kombustor D3D10 render path is okay (the D3D11 is under dev), I logged some details about MSAA samples and number of quality levels. CSAA is a feature of GeForce 8 series and higher. That’s why on AMD cards, quality level is still equal to 1 because CSAA is not supported on Radeon. Indeed, AMD DX11 hardware has only one MSAA quality level whereas NVIDIA DX11 hardware offers up to 33 quality levels per sample count which corresponds to the max value defined in DirectX SDK. How do games let you select 16x and 32x in D3D with NVIDIA then? Also what happens under D3D9? Did that even have quality levels? Actually I think 16X and 32X are CSAA modes (Coverage Sampling Antialiasing)). 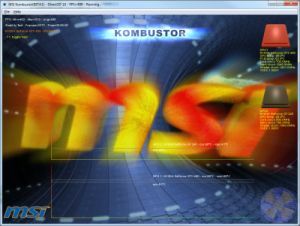 I’ll try to test CSAA in Kombustor and I’m sure I’ll see 16X and 32X for my GTX 480. Why has 2x got 3 quality levels? as well as MSAA and CSAA.